High performing managers see hiring AND successfully on-boarding new hires as one of the most critical things they do to add value to the organization. We did extensive case-based analysis of high performing leaders in a large, high tech company and identified six key accomplishments that were critical to their success. Capacity and Job Fit: Clearly new hires need to have the capability to succeed in role. The talent acquisition process needs to clearly determine that a candidate has the requisite talent. Motivation and Preferences: The talent acquisition process also needs to ascertain that a candidate has an inclination or motivation to perform the type of work required by the role. Skills and Knowledge: A structured system needs to be in place to measure the new hire’s current skill level and provide role-specific training to close any gaps. Expectations and Feedback: Role expectations need to be accomplishment-based; not simply behaviorally based. New hires need to know what they must produce, not simply what tasks they need to perform. Rewards, Recognition and Consequences: These sub-systems need to align with results, not just activity. Environments, Systems and Resources: The culture, work processes and so forth need to provide direct support to the new hire, enabling that individual to succeed without struggling to identify and obtain the right resources and tools. Managers solicit positive anecdotal feedback from the new direct report’s peers. E-mail escalations on issues involving the new direct report do not occur. Managers do not make hiring concessions simply to meet headcount commitments. Task 1: Selected and worked with the interviewing team to establish the interview protocol and questions. Task 2: Arranged for new employee set-up. Task 3: Assigned a peer mentor to new direct report and monitor progress. Task 4: Conducted introductory meetings with new direct report. Task 5: Worked with new direct report to develop an initial set of commitments. Task 6: Created a custom on-boarding program based on assessment of new hire’s skills and knowledge. Ultimately the goal for the overall hiring and on-boarding process should be to enable new hires to be as successful as they intended to be the day they were hired. In a perfectly architected high performance management system, all of the subsystems would be perfectly aligned, allowing every new hire to support organizational success while succeeding in their new role. Reach out to us at: info@exemplaryperformance.com. We can help as you architect a high performance management approach for your team, department or enterprise in 2017. We’ve been doing this for decades. 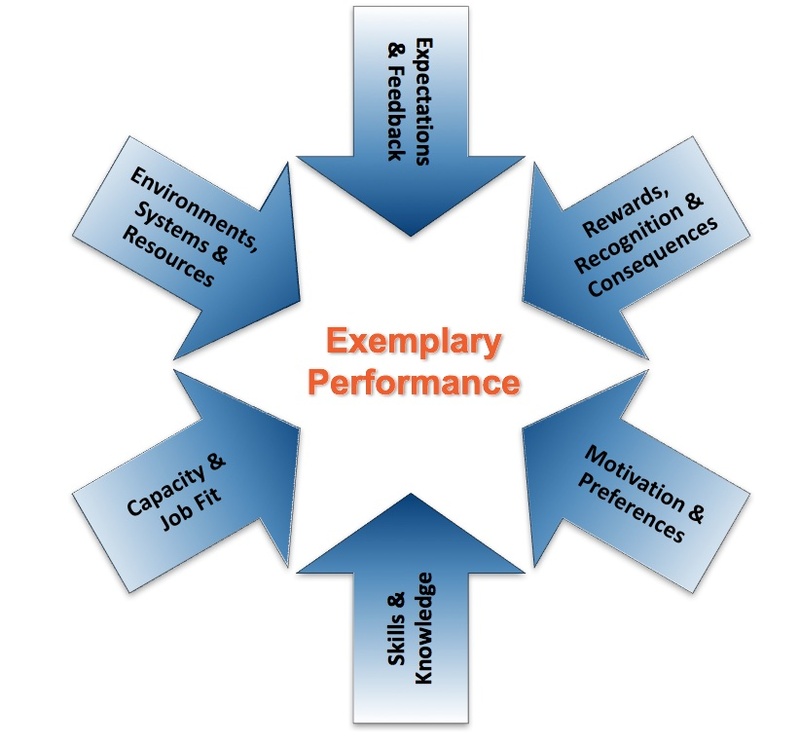 NOTE: To read more about this process, get a copy of Exemplary Performance – Driving Business Results by Benchmarking Your Star Performers by Dr. Paul H. Elliott and Dr. Al Folsom. Paul, keep it coming. Great stuff.